A prominent downtown building is in the midst of foreclosure after celebrity chef Matthew Kenney's business stopped paying rent. The culinary school, PlantLab, has shuttered and it's unclear what the building's future might be. 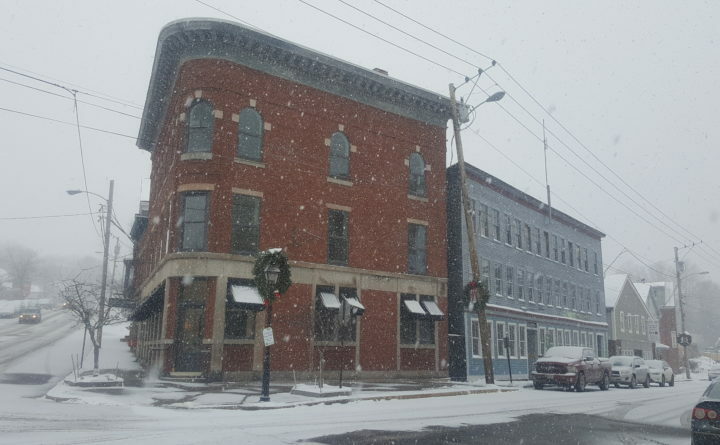 BELFAST, Maine — One of downtown Belfast’s most prominent buildings is in the midst of foreclosure after the celebrity chef trying to buy it stopped making payments and vacated the building at the close of summer. In 2013, Matthew Kenney, a chef known for building a raw vegan cuisine empire, signed a deal to purchase the historic building at 121 Main St. from M. Sandra Daniels of Texas. Kenney agreed to pay $950,000 over the course of 12 years, largely through monthly installments. Interest payments would have pushed the final price closer to $1.2 million. Kenney, a Searsport native, didn’t keep up his end of the deal, accruing $47,356 in overdue payments, plus additional debts to state, federal and local governments, according to the foreclosure judgment filed last month in Belfast District Court. At the time of the judgment, he still owed $825,058 under the contract, with interest accruing at about $430 per day. The owner of the building, Sandra Daniels a retired school administrator from Texas, sought the foreclosure judgment in court. Kenney offered no objection and said he wouldn’t be returning to the building. The shuttering of PlantLab, the culinary school Kenney opened on the first floor, marks the last of several short-lived business ventures Kenney has had in Belfast during the past decade. After a judge approved the foreclosure, workers started removing islands, sinks and other equipment Kenney installed when he opened PlantLab in 2013. Kenney has operated restaurants and culinary schools across the U.S. and internationally. Food and Wine Magazine named him one of America’s best new chefs, and he’s a two-time nominee for Rising Star Chef in America by the James Beard Foundation. However, he’s been embroiled in legal and financial trouble at several of those establishments. Last summer, the landlord of his restaurant property in Miami sued for unpaid rent, according to the Miami Herald. There have been more lawsuits and liens at Kenney’s establishments stretching from New York and Oklahoma to Thailand and Los Angeles. Kenney said he sold his interests in PlantLab’s culinary education endeavors earlier this year, and that the new owners decided not to continue operating a school in Maine. As part of the foreclosure process, an auction of the property is scheduled for Jan. 8. 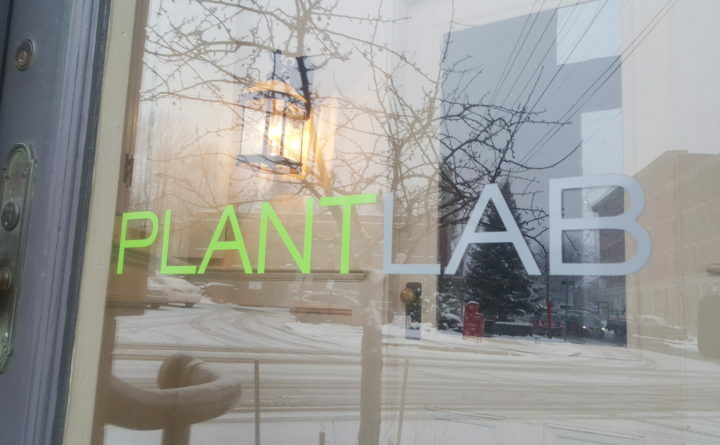 Proceeds from any sale would go first to the owners, then the IRS, which has three liens tied to the building after PlantLab didn’t make payments, and Maine Revenue Service, which is owed $301,000, according to court documents. The building and land are valued at $460,000, according to city records. Daniels purchased the building in 2005 for $525,000. She launched a major renovation effort that lasted more than five years, which included the installation of an elevator. She and Bancroft hoped to settle in Belfast and live on the upper stories, but those plans changed and they started leasing it to tenants. She said she quickly fell in love with the building and its history. “Given its place and its history, I thought it deserved to look pretty,” and bring new vitality to downtown’s Post Office Square, Daniels said during a recent interview. This Renaissance-style, wedge-shaped structure has a rich history dating to the 1840s when the first floor was built. In later years, two more stories would be added. Early on, 121 Main was home to a laundromat and grocer. In 1874, the building was officially completed with its third story, and Belfast Savings Bank moved in. The top floor house Waldo County’s first telephone company, according to Daniels. A well-known and unusual Belfast resident named Phineas Quimby called the second floor of the building home. Quimby, a healer and spiritualist, is recognized as the father of the New Thought movement, a philosophical theory that says God is everywhere, the human self is divine, and sickness originates in the mind and can often be healed through thought and focus. Quimby died in Belfast in 1866 at 63.
closed and Kenney opened a new concept restaurant in the same space called Arata. Arata lasted a single summer season, and Kenney vacated that building and continued to operate the newly defunct PlantLab across the street. It’s unclear what the future of the building will be, though much of its potential could be revealed after next month’s auction and the end of the foreclosure process.